This site is copyright protected. This blog is a personal blog written and edited by me. For questions about this blog, please contact penelopesportfolio@outlook.com. This blog shares "all things kids", both inside and outside of the classroom, teaching resources, and parenting tips. Sometimes this blog may throw something completely different into the mix, as well. 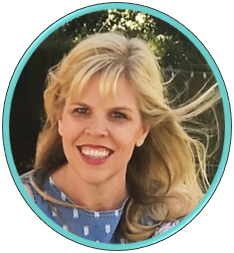 Blog posts are based on the author's real life experiences, and drawn upon the author's experience as a former Elementary Teacher, with a background in Psychology, and a current Stay At Home Mom. Penelope's Portfolio offers products for sale through a Teachers Pay Teachers Store, and may sell items in other online forums as well. Those items may be on this blog with links for readers to purchase them. They are also featured in a sidebar of products with links to a TPT stores and in a product tab on this blog. Guest posters may write about their products with links to them for purchase. This blog may also embed Penelope's Portfolio's YouTube videos in posts and in a video tab. These videos have been monetized through YouTube. This blog shares ideas and resources for teachers and parents that focus on Character Education, Social Skills, and other teaching and parenting aids. When referring to another person's ideas, the blog author will clearly note and link back to an original source. All content including ideas, images, documents, products, lesson plans, free printables, and downloads are exclusively property of the blog author unless noted otherwise. Content may be printed, downloaded, and/or used for personal or classroom only. You may not redistribute or use content commercially without the blog author's written consent. Penelope's Portfolio is not responsible for other blogs/sites using it's content without it's permission. You are welcome to post pictures, ideas, and content from the site as long as you provide a link back to this blog. You may also pin on Pinterest and share links through Facebook, Twitter, email, etc. If you have signed up for Penelope's Portfolio's newsletter, or your email or any other personal information has been obtained, that information will never be sold or given away. Your email address may be used to send you free newsletters regarding information about marketing, promotional materials, teaching and parental tips, or any other information that may be of interest to you. If you do not wish to receive communication from Penelope's Portfolio, you may opt out from receiving any or all of these communications by following the unsubscribe link or instructions provided in any email we send. This blog is directed towards adults only, as children's privacy is taken very seriously. Penelope's Portfolio does not knowingly collect personal information from children under the age of 13. If it is discovered that information was collected from a child under the age of 13, appropriate measures will take place to remove that information. Information about your visit may be stored using cookies to analyze your visit and make sure your experience is a good one. You can disable cookies via your browser’s settings page. The blog's author reserves the right to delete any comments or interaction on the blog that the author feels is misleading, unnecessary, provoking or problematic in any way. If you comment, post material, post links by means of the Site, you are entirely responsible for the content. If a site visitor infringes the copyrights or other intellectual property rights of Penelope's Portfolio or others, Penelope's Portfolio may deny access to and use of the site. This blog may accept forms of cash advertising, sponsorship, paid insertions or other forms of compensation. The compensation received will never influence the content, topics or posts made in this blog. All advertising will be in the form of advertisements generated by a third party ad network. Those advertisements will be identified as paid advertisements. It is possible, that third parties (like Google Ads) may be placing and reading cookies on your browsers, or using web beacons to collect information as a result of ad serving on this website. You can disable cookies using your browser’s settings page. The owner of this blog will not be compensated to provide an opinion on products, services, websites and various other topics. The views and opinions expressed on this blog are purely the blog owners. The blog owner will only endorse products or services that the blog owner believes, based on expertise, are worthy of such endorsement. Any product claim, statistic, quote or other representation about a product or service should be verified with the manufacturer or provider.